You might think that reviewing all the latest gadgets all year would make Black Friday boring for someone like me. Sure, I get to play with all of the most awesome gadgets and tech tools throughout the year, but I don’t get to keep them. That means come Black Friday and Cyber Monday, I’m leaning over my laptop the same as you, fingers twitching, crediting cards itching to score huge deals on my favorite tech. Here’s what I’m holding my breath to get this week, and how much it’ll cost. One of the most controversial new gadgets (because … it’s Facebook) is also the best video-calling machine ever invented — and a look at the way landlines should evolve to become useful again. You use it to talk through a screen to your Facebook family and friends. It has a 12-megapixel camera with high-definition video and artificial intelligence software; the camera follows you as move around. It really is amazing to share special kid-moments with your parents who live far away, or just to check-in on a child, parent, or special friend who you don’t see as much as you want. I’ve even used it twice to ask my BFF in another state if my outfit looks okay. It’s a must-see — even if you’re too creeped-out by privacy concerns to buy it yourself! 2-in-1 ultrabook stretches next-gen laptop design with a precision crafted hinge that incorporates a rotating Dolby Atmos soundbar, an optional 4K Dolby Vision HDR display panel, an active pen that stores and charges in its own perfect little nook inside the hinge, and a new TrueBlock privacy shutter for the web camera. It’s a tablet when you want it, laptop when you need it, and full 4K HDR entertainment center when you crave it. The Hero7 is reimagined with steady-cam gimble-guts for the most stable and easy camera-shooting available on the planet. It’s also waterproof, super rugged, and has a 2-inch touchscreen so you can see what you’re shooting and control the camera. You can also talk to them using voice commands, like “GoPro, take a photo” or “GoPro, start recording.” And the cameras understand 15 languages and dialects, which of course, is 14 more than most people I know. 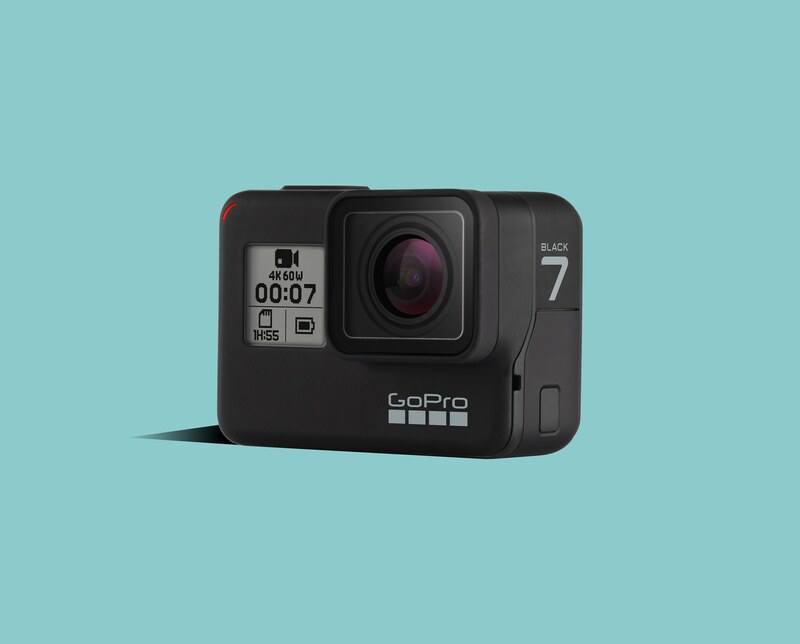 It also has WiFi built in, so you can connect to your mobile devices through the GoPro app to instantly access and share photos and videos them on Facebook, Instagram, etc. 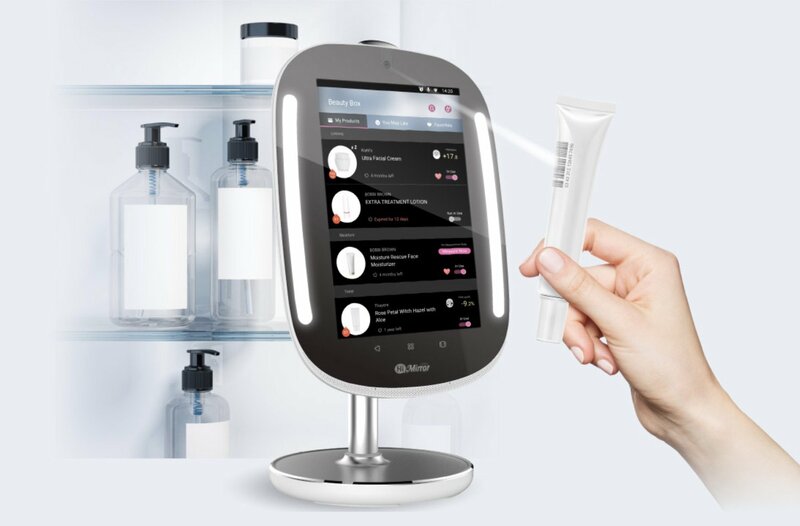 This connected “smart” mirror uses an integrated camera to analyze your skin, track your skincare goals, and monitor the effect of beauty products you use. It takes a look at wrinkles, fine lines, your overall complexion, dark circles, dark spots, red spots, and pores, and provides recommendations on how to improve the skin’s condition. I know, that sounds horrifying, but it’s really not. It’s actually a sweet little smart mirror for tuning in to your skin’s real needs. It also uses Amazon Alexa for hands-free functionality and lets you connect to Spotify, YouTube, Facebook, and Instagram. Black Friday/Cyber Monday Deal: $89 with promo code BLACK30 at checkout. 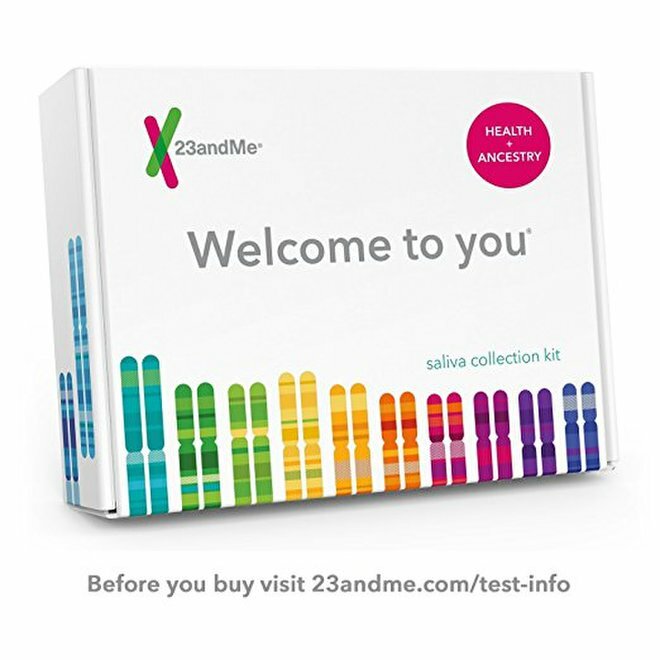 Giving someone the gift of getting to know themselves like never before – guaranteed hit! This is another smart home screen – but it doesn’t have a camera. 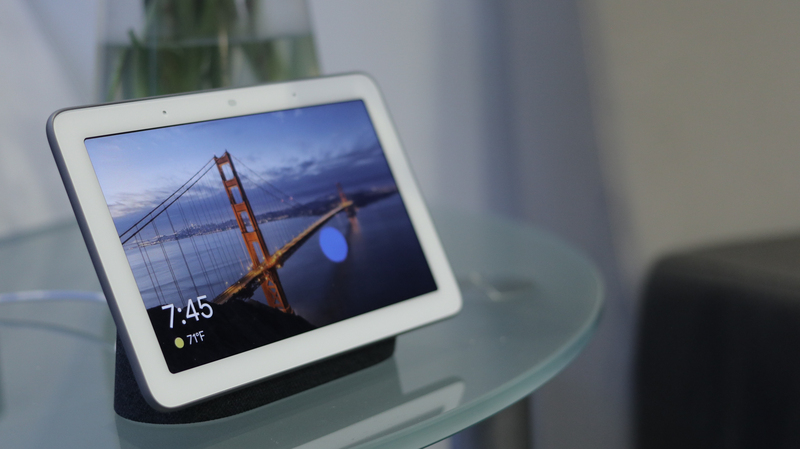 It connects to your Google account, so it can do things like display pictures from Google Photos or play your favorite YouTube videos — along with more standard Google Assistant tasks, like reading out your daily schedule or telling you what traffic on your commute will look like through Google Maps. One advantage of the Google devices over the Amazon ones is that you don’t need to pay for any subscriptions to enjoy most of the functionality. I love this little device, own four of them already, and plan to buy another six or so for presents this year. It’s worth the price you use it for nothing else than a gorgeous, super smart digital photo frame. 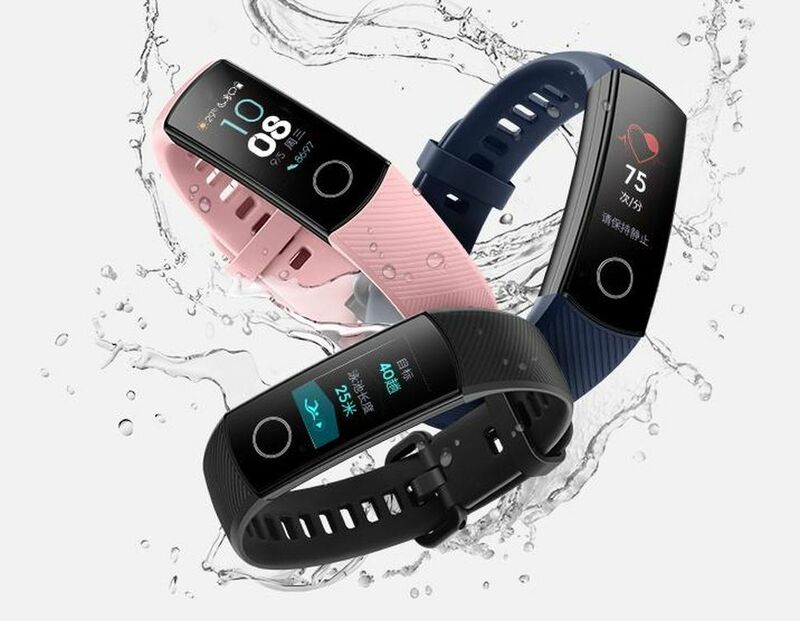 These brand new fitness watches just launched and bring the exact right amount of phone-free tracking, accountability, and affordability to anyone wanting to do everything from a little more walking to running a marathon. They track sleep, heart rate and various types of exercise including walking, running, cycling, swimming and strength training. These are perfect for any of your friends or family who want to up their workouts without getting too overly techy. And seriously, the price is right! Price: The Band 3 Pro is $70, the Band 3e is $30. Black Friday/Cyber Monday Deal: these are already crazy cheap! This is one of the best prices I’ve seen on a brag-worthy new TV all year. 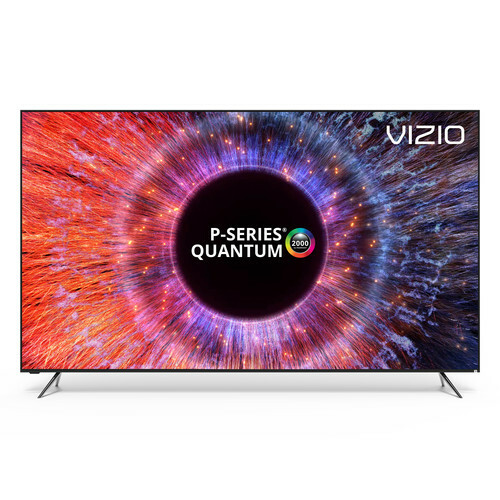 The Quantum delivers image quality that’s the next-best thing to OLED TVs, which are not expected to see big discounts this year. I really, really want to see one of the “wallpaper” TV’s come out at half price, but so far searches for Samsung’s Frame. Video games are always big sellers around the holidays and this year will be no exception. 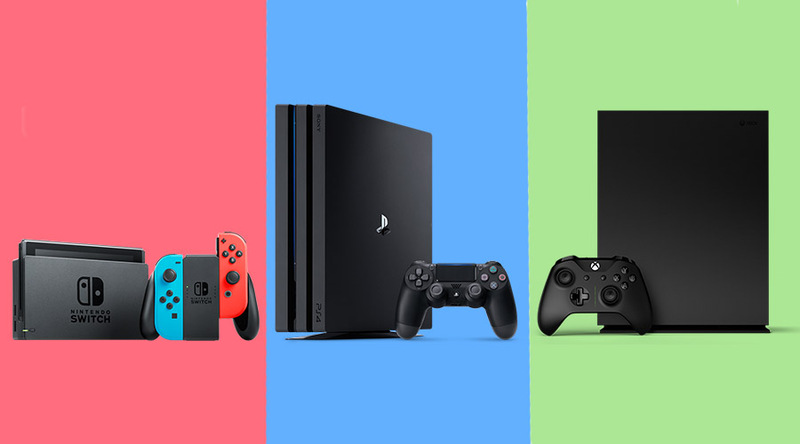 The Nintendo Switch is still one of the hottest gifts around, and the PS4 and Xbox One have huge libraries of great games at unbeatable prices. If you’ve been waiting to buy a new game system, now is the best time, and GameStop is sweetening the deal. Black Friday/Cyber Monday Deal: GAMESTOP: PS4 Spider-Man Bundle for $199 (was $299), Xbox One S Minecraft Bundle for $199 (was $299). Also, get a free $50 GameStop gift card with purchase of any game system, including Nintendo Switch. This hair dryer has changed my life! Okay, that might be a little much. 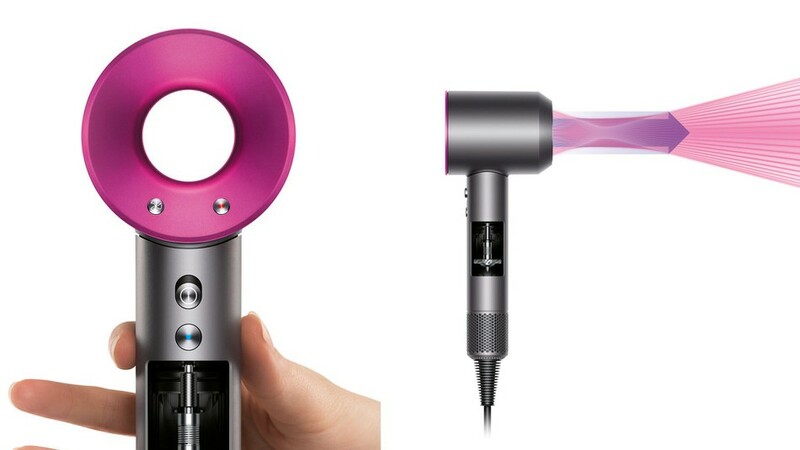 But seriously, if you blow-dry your hair nearly every day for 20+ years, this gadget is AHHHH-MAZING! It dries my hair in half the time, it’s super quiet, and my over-done doo is in much better shape now than it was before I switched over to this “Tesla” of hair-dryers. It actually measures air temperature 20 times each second to ensure that it’s the perfect temperature for your tresses at all times. It also has unique magnetic attachments, which is worth showing off to all your friends all on its own.